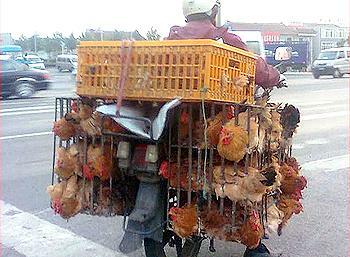 BEIJING, China, April 8, 2013 (ENS) – A new form of bird flu is alarming Chinese and World Health Organization officials. Since March 29, when human infection with the influenza A(H7N9) virus was first reported, a total of 24 cases have been confirmed; seven people have died. At a news conference Monday in Beijing, WHO representative in China Dr. Michael O’Leary called on the public to remain calm. “These recent reports from China are the first cases of human infection with H7N9 viruses. Although we do not know the source of the infection, at this time there is no evidence of sustained human-to-human transmission,” he said. More than 530 close contacts of the confirmed cases are being closely monitored. In Jiangsu, investigation is ongoing into a contact of an earlier confirmed case who developed symptoms of illness. On Sunday, the Chinese health authorities notified WHO of three more laboratory-confirmed cases of human infection with the influenza A(H7N9) virus. The first patient is a 59-year-old man resident of Shanghai, who became ill on March 25 and died Sunday night. The second patient is a 55-year-old man from Anhui who became ill on March 28 and is now in stable condition. The third patient is a 67-year-old man from Shanghai who became ill on March 29 and is considered a mild case. In addition to the death in Shanghai, two new cases of H7N9 virus infection were reported today in Jiangsu province. In Hong Kong, seven new suspected cases of H7N9 bird flu are being tested for confirmation. The Chinese government is investigating this event and has heightened disease surveillance. Testing of recently reported cases with severe respiratory infection may uncover additional cases that were previously unrecognized. An inter-government task force has been formally established, with the National Health and Family Planning Commission leading the coordination along with the Ministry of Agriculture and other key ministries. Liang Wannian, director of the H7N9 influenza prevention and control office under the National Health and Family Planning Commission, told reporters at the news conference that authorities have not ruled out the possibility of animal and human infections in other regions of the country. The animal health sector has intensified investigations into the possible sources and reservoirs of the virus. “However the deaths in pigs in the Huang Pu river may be caused by many factors, and we have not connected the pig deaths to human cases of influenza. Those pigs which have been tested were found negative for influenza viruses. The clinical syndrome in pigs is not compatible with influenza infection,” said O’Leary. “Some of the confirmed cases had contact with animals or with environments in which animals were located. The virus has been found in a pigeon in a market in Shanghai. These events gave possibility of animal-to-human transmission, for which investigations continue,” he said. The UN Food and Agriculture Organization on Friday commended China’s quick notification of human cases of the H7N9 bird flu virus. The quick response and release of detailed information on the nature of the virus allow the public to take precautions and give related institutions more time to evaluate its potential impact on humans and animals, FAO Chief Veterinary Officer Juan Lubroth said. 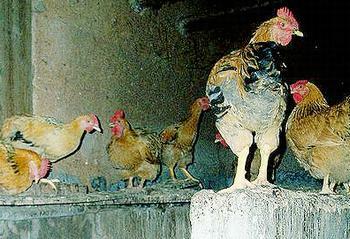 He said the new virus is hard to detect in poultry as it causes few to no signs of disease in animals. China has shut down several live bird markets and has culled more than 111,000 chickens in an effort to control the outbreak. The city of Shanghai has banned all trade of live fowl although no H7N9 virus has been found among locally raised poultry. The WHO-coordinated international response working with WHO Collaborating Centres for Reference and Research on Influenza and other partners to ensure that information is available and that materials are developed for diagnosis and treatment and vaccine development. Influenza A H7 viruses are a group of influenza viruses that normally circulate among birds. The influenza A(H7N9) virus is one subgroup among the larger group of H7 viruses. Although some H7 viruses (H7N2, H7N3 and H7N7) have occasionally been found to infect humans, no human infections with H7N9 viruses have been reported to the World Health Organization until recent reports from China. WHO says on its website that analysis of the genes of these viruses suggests that although they have evolved from bird viruses, they show signs of adaption to growth in mammalian species. These adaptations include an ability to bind to mammalian cells, and to grow at temperatures close to the normal body temperature of mammals, which is lower than that of birds. No vaccine is currently available for this subtype of the influenza virus. Preliminary test results provided by the WHO Collaborating Centre in China suggest that the virus is susceptible to the drugs oseltamivir and zanamivir. Liang told the news conference that China has started development research of vaccines for the H7N9 bird flu virus. But he said that “complications in the development and manufacturing process” mean it may take about six to eight months before a vaccine can be brought to market. WHO does not advise special screening at points of entry to China with regard to this event, nor does it recommend that any travel or trade restrictions be applied. The small number of infections means that there is no wide-ranging public health concern at the moment, said Dr. O’Leary. Rapid avian influenza tests will be implemented on April 11 in Hong Kong to ensure imported chickens are virus-free, the city’s Secretary for Food & Health Ko Wing-man told the media Monday. About 30 samples will be taken from every 1,000 chickens, and results will be released within four hours. Since 2010, all live poultry and poultry products bound for Hong Kong have been tested for H7 avian influenza, and no cases of the virus have been found. It will take more time to find out whether other countries have had H7N9 infections, Dr. O’Leary said. WHO expects authorities to test flu cases stemming from unidentified sources to determine whether they are H7N9 infections. In Taiwan, the disease control authority said Monday that four of seven suspected human infections of H7N9 bird flu reported over the last 24 hours have been ruled out. Three cases are still being tested. Twenty-seven suspected cases have been reported on Taiwan since April 3, with 24 of the patients testing negative for the virus, Dr. Chang Feng-yee, chief of the island’s National Defense Medical Center, said today at a press conference in Taipei.